When Hitman series developer IO Interactive went independent and broke away from Square Enix earlier this year, many fans wondered what would become of our bald-headed, barcoded assassin friend. A month later, IO revealed it was keeping the rights to the franchise. And today, the company has gone a step further, confirming a new Hitman game is in development. Company CEO Hakan Abrak revealed the news in a post celebrating the release of Hitman 2016: GOTY Edition. In it, he thanked fans who purchased the GOTY Edition, writing, "Your support will directly help us to continue on our independent journey towards the next Hitman game and beyond. We’re in this together and we promise that we will channel our passion and skills to shine through in everything that comes from this studio." 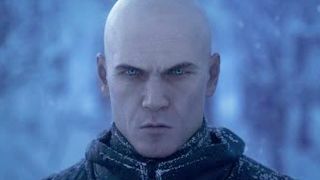 Abrak also claimed that the team was making "great progress," and that the game will have new features never seen in a Hitman title. Abrak said that IO will share more "at some point" in 2018. There will also be more news to come regarding Hitman 2016 season two, but for now it's just good to know that the business split hasn't tempered enthusiasm or slowed the devs down. As for that Hitman: GOTY Edition Abrak was mentioning, it's available now, and contains the base game, all the stages added over the course of season one, a bonus campaign called "Patient Zero," and new outfits that let the stonecold killer Agent 47 dress up like a cowboy, a clown, and more. If you already own Hitman 2016 and just want the new DLC, you can purchase an upgrade to the GOTY Edition on the Xbox or PlayStation Store, or Steam.